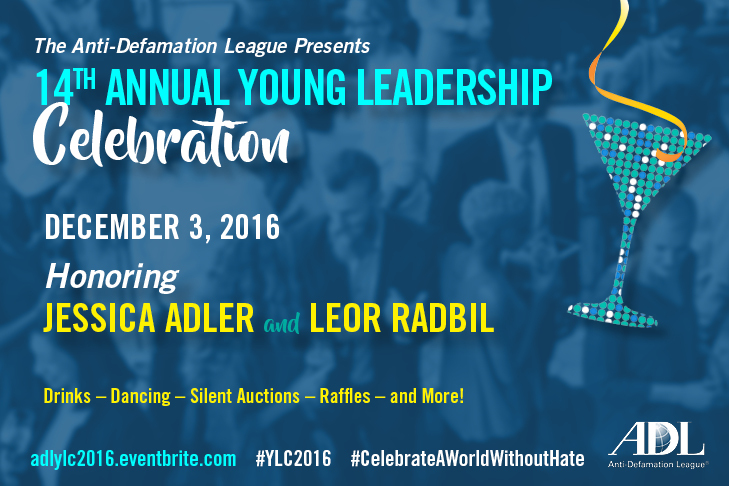 Join ADL for the 14th Annual Young Leadership Celebration on December 3rd at The New England Aquarium in Boston. This year we are proud to honor Jess Adler and Leor Radbil with ADL’s 2016 Krupp Leadership Award! Come celebrate their dedication and leadership with us during a night full of dancing, socializing, raffles and silent auctions. For more information, please contact Dan Hart at dhart@adl.org. We hope to see you at this year’s YLC!